How do we know weather did not seriously hinder or halt the mass cremation process at the Operation Reinhard death camps? The evidence suggests that the Nazis and their collaborators did not protect the cremation grills with roofs or walls. Thus, the cremation grills were exposed to the extremely harsh Polish climate. Snow, wind, and rain would have significantly slowed down the cremation process at Treblinka, Belzec, and Sobibor, or stopped the process altogether. Given these stoppages, it was impossible to cremate the number of bodies claimed by witnesses. Contrary to the assertions of Holocaust deniers, the evidence shows that snow, rain, and wind—unless extreme and extended—would not have substantially impacted the cremation process. Even if it rained and snowed 20% of the time, the remains could still have been cremated in the time stated by the witnesses. What do Holocaust deniers specifically say about weather conditions in Poland? Rain: It did not “dawn on the storytellers” who made up the “Treblinka, Belzec, and Sobibor story” that rain would be a “logistical problem.” However, as evidence, Denierbud references Claude Lanzmann’s documentary film about the Holocaust, Shoah. In the film, Lanzmann interviews a man at Treblinka in the midst of heavy rain. Despite the fact that the scene was shot in the 1980’s, Denierbud uses this scene as evidence that in 1942 heavy rain would have disrupted the mass cremations at the Operation Reinhard death camps. Snow: Again, Denierbud references the film Shoah. 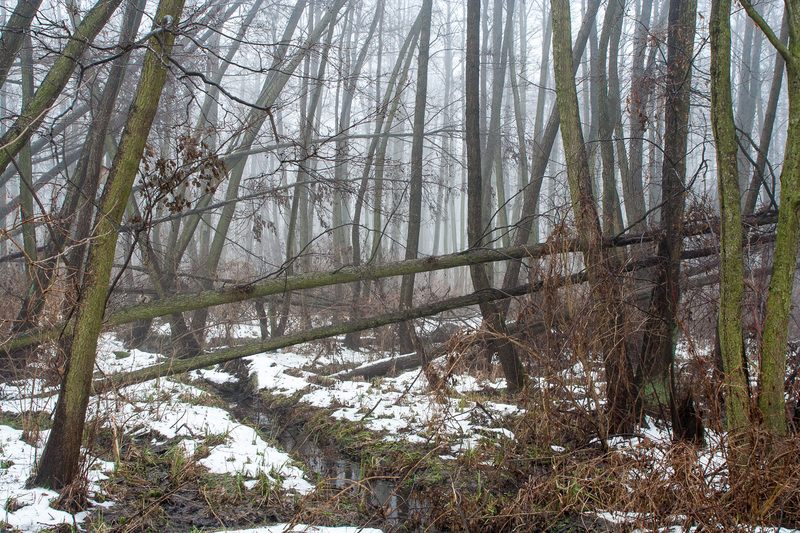 Lanzmann filmed a scene at Sobibor after a winter snow. Denierbud claims that because it snows in Poland, this would have inhibited the cremation process. Poland has a temperate climate, which means it has distinct seasons of spring, summer, fall, and winter. The summers can be hot with temperatures sometimes as high as 100 degrees Fahrenheit and the winters can be cold with temperatures below zero. Annual precipitation (rain and snow) averages about 18 to 24 inches in the southeastern lowlands (where the Operation Reinhard camps were located). That is 1.5 inches to 2 inches of precipitation a month on average. It tends to rain more often in the summer than it snows in the winter. The average winds range between 4 and 22 miles per hour. At Sobibor, they still had an estimated 292 days to cremate about 250,000 remains. This amounts to burning 856 remains per day, which was most certainly possible. In fact, this per day figure would be quite leisurely compared to the urgency in the other camps. At Treblinka, the cremation time probably lasted longer than the 156 days that Denierbud claims were available. However, even we accept his estimate of 156 days, then the Nazis and their collaborators had 125 days to cremate about 750,000 bodies. We know that they started with one grill, but rapidly increased the number of grills to six. Each grill could hold at least 2,000 remains. Even if we allow for only 1,500 remains per day per grill, assuming that nothing operates at peak efficiency all the time, the Nazis could still have burned all or most of the remains within his time span. At Belzec, the work of burning the remains began in November 1942 and lasted until March 1943, about five months. The total number of remains they had to burn was around 600,000. In 120 days, assuming even the reduced figures (1,500 remains per cremation grill figure), they could still have cremated 540,000 remains. However, the investigation team found that several graves at Belzec actually held unburned remains. It appears that as the Nazis neared the bottom of the graves they lost their taste for the job or were in a hurry to be finished, and so they left them. As a final note of interest, Foot and Mouth Disease struck the cattle population in Great Britain throughout 2001. Possibly as many as 6,000,000 carcasses had to be destroyed or buried quickly. Some were buried while others were burned on open air pyres. Great Britain is not known for its sunny, dry climate. Still, no news account and no governmental report discusses roofs or walls at the burning pits. There is no evidence that the notoriously wet and cold British weather substantially impeded the cremation process. Yankiel Wiernik, a survivor of Treblinka, describes many of the camp’s buildings in detail, including the new gas chambers that he helped build—but he never mentions building roofs over or walls around the cremation grills. Would the Nazis have risked setting the roofs on fire with these blazingly hot and huge fires? Further, the Nazis were often in a big hurry to cremate the bodies. They did not have time to build whole buildings around the fires, use special alloy rails, rig up adjustable grills, or provide roofs over the grills. They needed to get the job done and get out of there. Complicating the job would only have extended it and perhaps even made it impossible. Trying to prove his argument with a personal experiment, Denierbud created a bonfire on a beach and tried to cremate a leg of lamb. He used his struggle against the elements to cremate this leg of lamb as an example of how hard it would have been to cremate a body under such conditions. After all, or so Denierbud reasons, his bonfire surrendered much of its heat to the wind, lengthening the time, decreasing the efficiency, and creating the need for even more firewood. Denierbud’s experiments, however, are a problem of scale. The cremation grills at Treblinka covered about 66 square meters (710 square feet). What would a little wind do to a fire this hot (between 800 and 1,200 degrees Fahrenheit, or more)? The fires were also big. Witnesses testify to flames leaping 30 feet into the air. What could wind do to a fire this large? It is more likely that such wind would have stoked the flame, just as occurs in forest fires. While Denierbud correctly claims that experts get better results with a fire wall, he forgets that the cremation fires were built into pits, providing wind protection for the fuel source. The snow, rain, and wind—unless it was extreme and extended—would not have substantially affected the process. Even if it did rain and snow 20 percent of the time, the remains could still have been cremated in the time stated by witnesses. Further, Denierbud’s speculation about roofs and fire walls is just that—speculation. Speculation does not rise to the level of actual evidence. “One Third of the Holocaust” at http://www.youtube.com/watch?v=taIaG8b2u8I at approximately 2:04 minutes. “One Third of the Holocaust” at approximately 2:05 minutes. “One Third of the Holocaust” at approximately 2:10 minutes. “Geography of Poland” at http://en.wikipedia.org/wiki/Geography_of_Poland; “Weather in Poland” at http://www.staypoland.com/poland-weather.htm. For more in-depth information on the burning of the remains in all three camps see Roberto Muehlenkamp, “It’s Raining Empty Claims . . . “ at http://holocaustcontroversies.blogspot.com/2006/12/its-raining-empty-claims_24.html. “Burial to replace burning of cattle,” BBC News Online: UK, March 31, 2001 at http://news.bbc.co.uk/2/hi/uk_news/1253622.stm. Chil Rajchman, The Last Jew of Treblinka: A Survivors Memory 1942-1943 (Pegasus Books, 2011), p. 92. Yankel Wiernik, A Year in Treblinka (American Representation of the General Jewish Workers’ Union of Poland, New York, 1945) at http://www.zchor.org/treblink/wiernik.htm (“Chapter IX”) at pp. 28-31. “One Third of the Holocaust” at approximately 3:03 minutes.